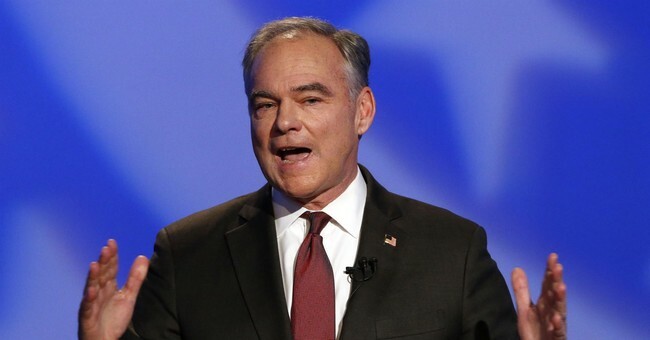 Sen. Tim Kaine (D-VA) recently joined the many Democrats linking President Trump’s rhetoric to the tragic shootings in New Zealand. In remarks to CBS Sunday, he argued that Trump “is using language that emboldens” white nationalists. When asked what he would attribute the rise in White Nationalism to, Kaine partially blamed President Trump. Kaine is not the only Democrat to make this connection. Sen. Richard Blumenthal (D-CT) and CNN both argued that Trump’s rhetoric could be linked to the shootings Friday. President Trump tweeted Monday that the “Fake News Media” is “working overtime” to blame him for the attack. White House officials, including acting White House chief of staff Mick Mulvaney, condemned the attempts Sunday to link President Trump to the tragedy in New Zealand.